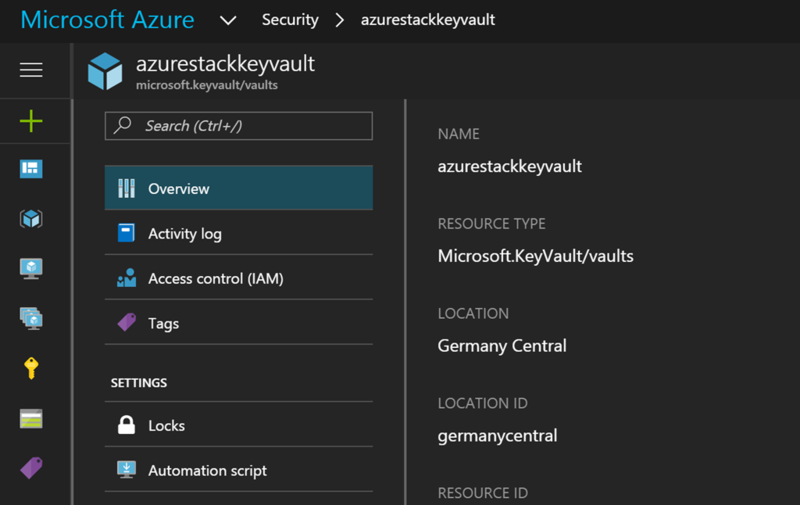 Yesterday I have written a blog post about the availability of ASR and Azure Backup in Azure Germany. 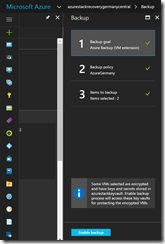 Today I would like to share some information with you about using Azure Backup with Azure Disk Encryption protected VMs. If you start right away deploying a Recovery Services vault and protecting your VMs, then you will run into an error. "message": "Azure Backup Service does not have sufficient permissions to Key Vault for Backup of Encrypted Virtual Machines." 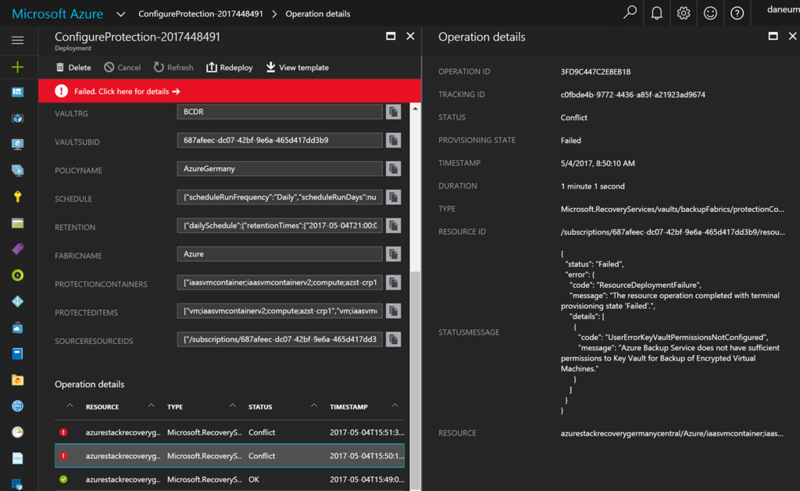 The error message is clear, you have to assign the required permissions to the Backup Management Service to be able to access keys and secrets in your deployed Azure Key Vault. 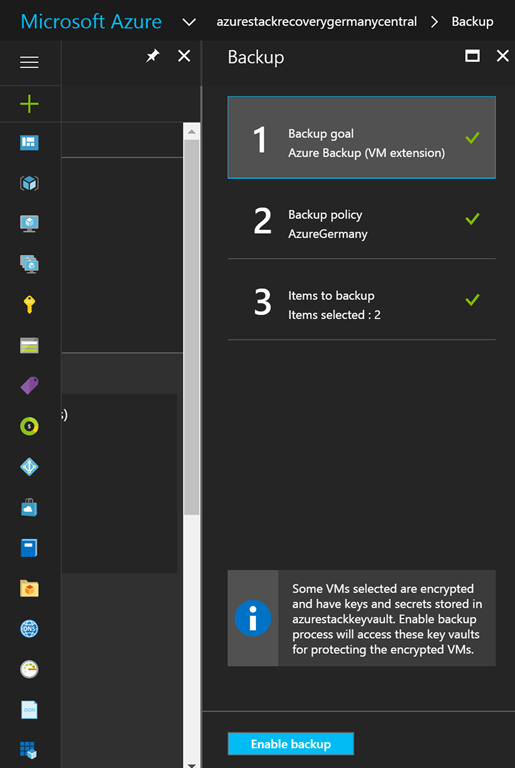 Otherwise Azure Backup is not able to backup your ADE protected VMs. 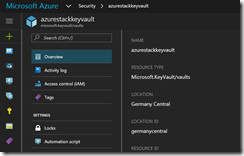 In Azure Germany you cannot modify the Azure Key Vault access policies through the portal currently, you have to do it via PowerShell. After you have assigned the permissions to the Backup Management Service, start again to protect your VMs and you will see that this time the deployment succeeds. Afterwards initialize the initial backup and come back later to check, if it was successful. 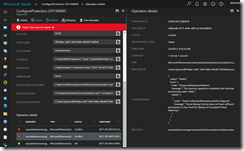 This entry was posted in Azure and tagged Backup, Cloud, Microsoft Azure, Public Cloud on 5. May 2017 by Daniel.